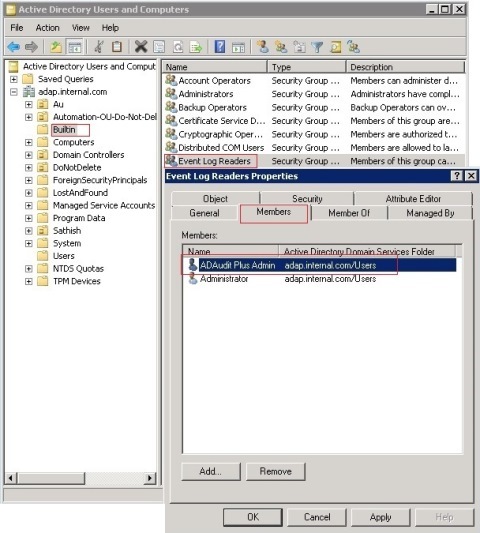 Create a 'user' account in your Active Directory and configure ADAudit Plus Service / Domain Settings Page with this 'user' account for data collection, processing and report generation. ADAudit Plus instantly starts to audit, when provided with a 'Domain Admin' account. 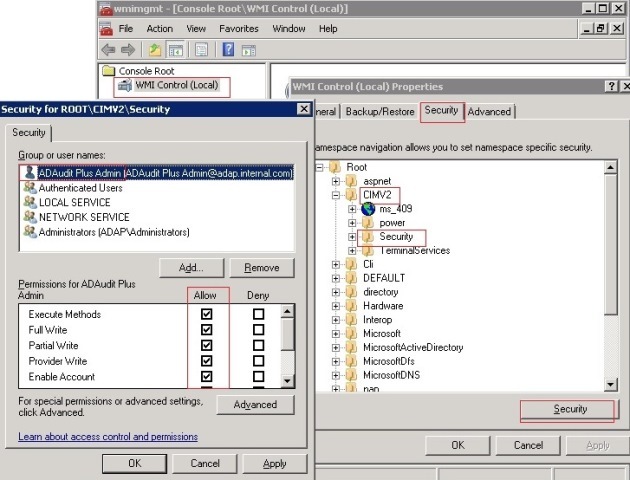 When users' do not want to provide a 'Domain Admin' account, follow the below steps to manually configure the successful working of ADAudit Plus. Open GPMC | Create a new GPO for the domain | Add the "Domain Controllers, Member Servers, File Servers & Workstations" that require audit into the Security Filtering settings of this Group Policy Object. Add the user in 'Manage auditing and security log' policy; this setting can be found under Computer Configuration | Windows Settings | Security Settings | Local Policies | User Rights Assignment | ; Use the newly created GPO and push this setting to all audited Servers. For Domain Controllers above 2003: Open Active Directory Users and Computers | Builtin Container | Add user as a member of 'Event Log Readers' group. The 'user' must have the DCOM & WMI permission only for the Windows Failover Cluster configuration/WMI mode of Event Collection. 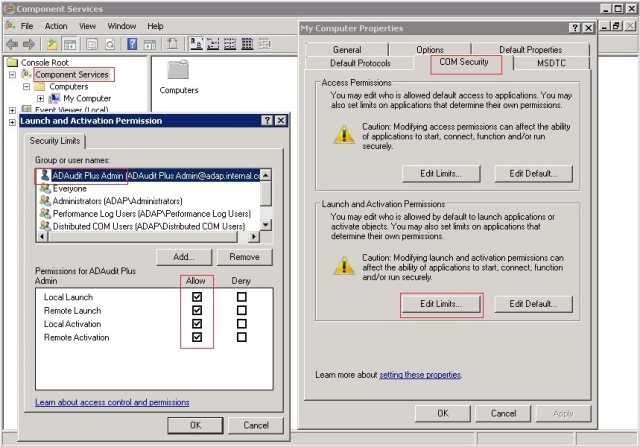 DCOM Permission: Component Services | Computers | My Computer | Right Click and go to Properties | COM Security | Edit Limits of 'Launch and Activation Permissions | In Security Limits, Add the 'user' with Allow for all permissions. WMI Permission: Go to Start | Run 'wmimgmt.msc' | Security Tab | CIMV2 | Security | Add the 'user' with Allow for all permissions. 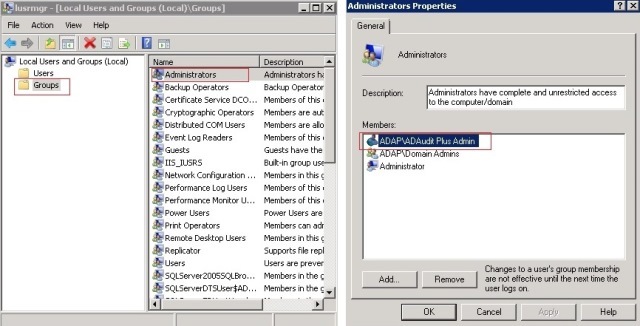 Open Local Users and Groups | Groups | Add user as a member of 'Local Administrators' group (On Every Monitored File Server for File Server Auditing).